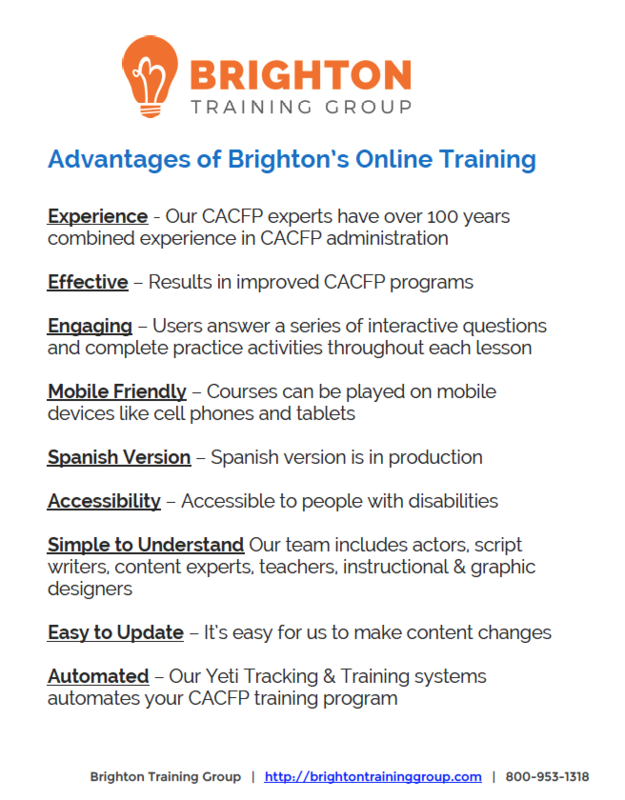 Brighton’s Training & Tracking System delivers online SFSP training courses through a portal branded for your organization. 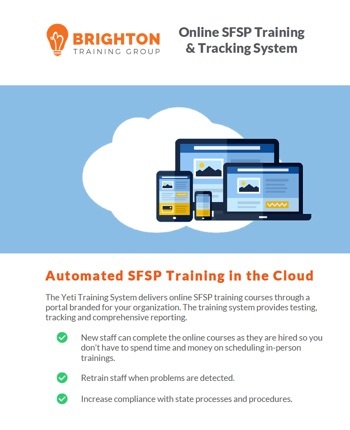 The training system provides testing, tracking and comprehensive reporting. Save money having all staff complete required online courses. 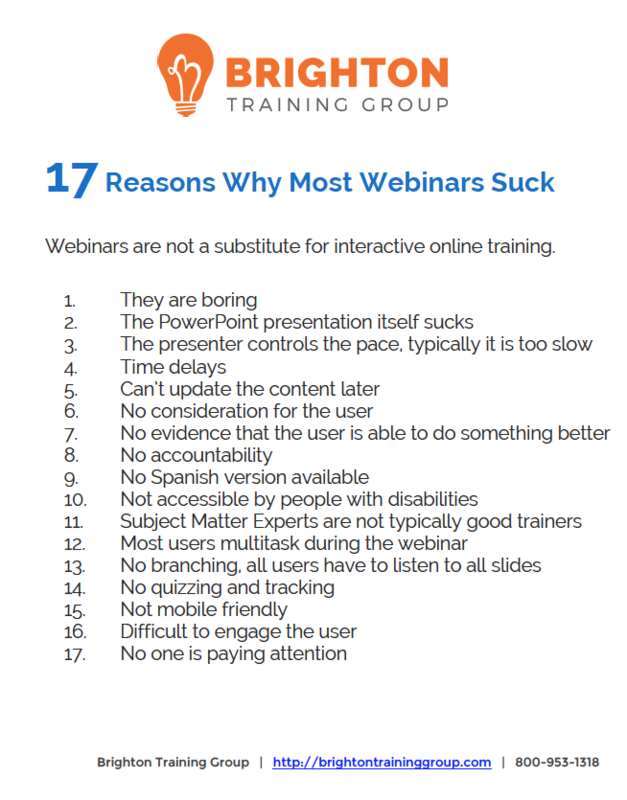 No in-person trainings necessary. Retrain staff when problems are detected. Increase compliance with state processes and procedures.